Welcome back to a weekly feature here at Movies With Abe. I'm going to be providing a handy guide to a few choice movies currently playing in theatres as well as several films newly released on DVD and Netflix. I invite you to add in your thoughts on any films I haven’t seen in the comments below. Among the high-profile releases this week is Mary, Queen of Scots, featuring last year’s Oscar nominees Saoirse Ronan and Margot Robbie as competing monarchs in a decent drama that’s nicely decorated. Ben is Back wasn’t the project that earned Golden Globe nominations for either Julia Roberts or Lucas Hedges, but both are good in this mediocre mother-son movie about addiction. Tyrel played at Sundance as a far more realistic and straightforward version of “Get Out” with a great central performance by Jason Mitchell. Karen Gillan made her directorial debut with The Party’s Just Beginning, and the poster featuring her character stuffing her face with French fries is a good indication of its intriguing nature as a first film. Another Tribeca selection, Back Roads also serves as the directorial debut of its star, Alex Pettyfer, though that product is far more unnerving and haunting, hardly suitable for all audiences. I’d also advise that those who don’t want to see mass shootings featured on screen steer clear of Vox Lux, which has been buzzed about because of a different kind of Natalie Portman performance, but it’s really a mess with many problems. I didn’t actually see it, but my wife was able to catch the Slamdance Film Festival Opening Night selection, Pick of the Litter, last January and highly recommends this guide dog documentary to all interested parties. 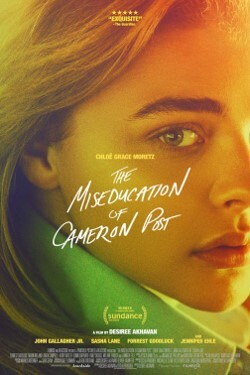 Another pick from Park City, which took home the Grand Jury Prize at Sundance, The Miseducation of Cameron Post, is a worthwhile exploration of gay conversion therapy from writer-director Desiree Akhavan. Rounding out this week’s releases is Operation Finale, the suspenseful dramatization of the capture of Nazi war criminal Adolf Eichmann, played by Ben Kingsley. 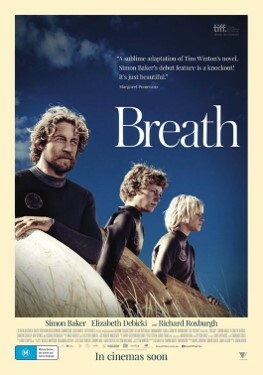 I can’t speak highly enough about Breath, directed by and starring Simon Baker, featuring incredible water cinematography in its portrayal of two young surfers in Australia. Israel’s Oscar submission for Best Foreign Film this year is The Cakemaker, a sweet and unexpected love story. Yorgos Lanthimos is getting accolades right now for “The Favourite,” and anyone encountering him for the first time should check out his first English-language film, the cleverly twisted The Lobster. It was a Best Picture nominee nine years ago, and District 9, with its allegorical representation of apartheid through aliens and humans, remains a remarkable and innovative science fiction film.